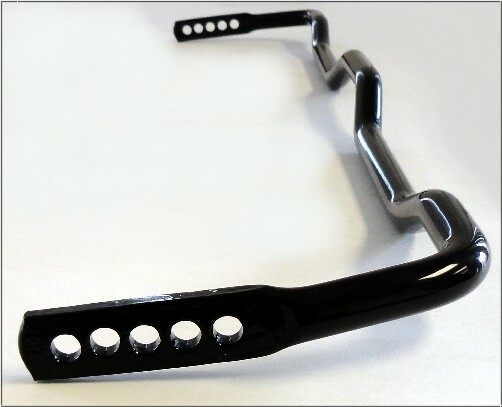 Lindsey Racing 968 M030 LR Sway Bars. 30mm Front and 19mm 5 Way Adjustable Rear for your 924S, 944, 944S, 944S2, 944 Turbo & 968. 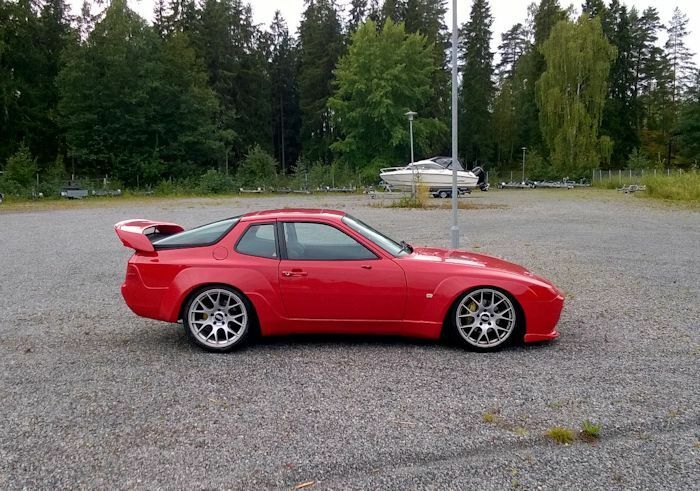 The largest factory sway bar available to fit the front of the 944 was the unit used on the MO30 equipped 968. This 30mm hollow bar was as stiff as it gets without going to a fully adjustable and more expensive type bar. Porsche quit producing this 968 MO30 front bar in the Spring of 2011. 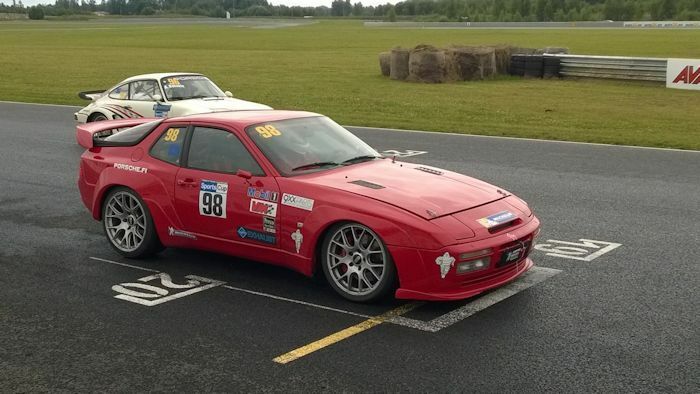 So Lindsey Racing picked up where Porsche left off and is producing the 968 MO30 LR Front Sway Bar. The LR-944-343-706-30. It's as close to the original as could be made. It's still mostly a hollow 30mm bar with bends in all the same places and is a direct replacement or substitute for the original Porsche bar. In addition to the Lindsey Racing 968 MO30 LR 30mm Front Sway Bar, we off two 19mm rear sway bars. The Genuine Porsche 968 MO30 19mm 3 Way Adjustable Rear Sway Bar and the Lindsey Racing version which is identical to the Porsche Bar only it has 2 additional adjustment holes for a total of 5. The LR-944-333-701-01 . While the factory 3-way rear sway bar can adjusted 7% stiffer and 7% softer, our bar can be adjusted 7 & 14% stiffer and 7 & 14% softer. That means more adjustment to dial in your suspension for it's optimal handling. This Lindsey Racing "5-Way" Rear Sway Bar fits virtually any 944 chassis that came with a rear sway bar, and even those that didn't. 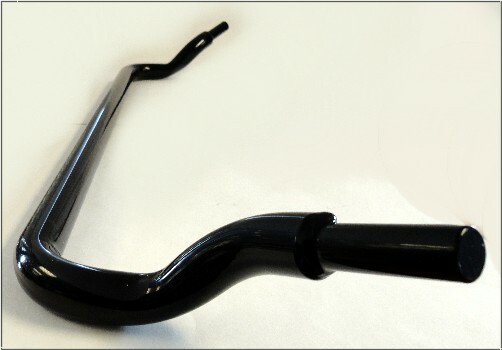 If the car did not originally have a rear sway bar, as many early 944's didn't, you can install this bar with our Rear Sway Bar Hardware Kit (product shown below) and a pair of drop links. We offer both front and rear sway bars with new rubber bushings in a complete kit form or you can purchase the front or rear bars separately with or without bushings. When purchasing the front bar, you will need new rubber bushings for both the larger 30mm diameter center portion of the bar and the tapered down smaller ends of the bar. They are listed separately. On either of the rear bars, you will need the 19mm rubber bushing for the torsion tube clamps attaching the bar to the torsion tube. If you're installing the kit on an '86 or earlier model, you will need the Front Hanger Clips sold separately. The '87 and later model cars came stock with these larger clips that will accept the larger 30mm bushings. But the earlier model cars did not.